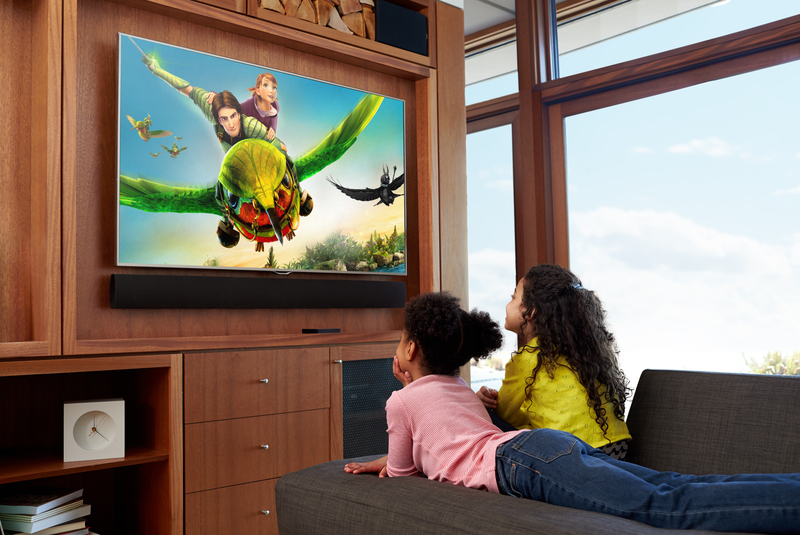 Amazon’s (S AMZN) new Fire TV streaming box offers a lot of the same content that’s already available through competing devices like Apple (S AAPL) TV, Roku and Chromecast (S GOOG) — but there’s one big difference that could help the company to sell millions of units: Amazon’s focus on kids’ content, paired with the ability to lock down the device, make this the first streaming device with real parental controls. Add gaming to it, and you’ve got yourself a potential bestseller. Netflix? (S NFLX) Check. Hulu Plus? Check. Amazon Prime Instant? Check. No, I’m not talking about Amazon’s new Fire TV, but about services available through Roku’s streaming boxes, which sell for as little as $50. So why would anyone spend twice as much for a Fire TV? One word: kids. Kids have long been the most enthusiastic early adopters (pardon the pun) of streaming services, with millions of little eyes glued to movies and TV shows on Netflix, YouTube (S GOOG) and Amazon Prime Instant. Parents have largely embraced this, because streaming makes for a good babysitter when you need an extra hour on a Sunday morning or are scrambling to get the food on the table on a weekday night. But parents have also been uneasy about the possibility of their kids stumbling across less appropriate content, which can happen pretty easily on YouTube where teenagers love to set Elmo dolls on Fire, and can’t be ruled out on any of the other streaming services either. Device makers like Roku have been able to do little about this because they don’t control the content on apps like YouTube and Netflix. Streaming service providers have started to embrace kids as new audiences, with Netflix, for example, launching a dedicated UI for kids. But their take on parental controls has been mixed at best. Netflix doesn’t prevent children from venturing into its general catalog, and even if it did, the effects would be limited to its own app. On devices like Roku, switching from Netflix to any other channel is just the matter of little fingers pressing a few buttons. Amazon stands alone in this area because it is the only company that owns both a device and a video subscription service. And the company has gone even further and launched its very own subscription tier for kids’ content, dubbed FreeTime Unlimited. On Fire TV, Amazon can integrate FreeTime in a way that wouldn’t be possible for the company on any other platform: Parents can set time limits for kids, and kids can be prevented from switching to any other app, effectively keeping them in an approved environment. So that’s why parents will like the device, but what about kids? That’s where the gaming component comes in. Amazon has seriously beefed up the Fire TV to make it a fast, responsive device that allows users to play games on the big screen. The company even developed a dedicated game controller that will give it more of a game console-like feel. Sure, even with its quad-core CPU, the Fire TV won’t be a match for an Xbox (S MSFT) One or a PS4. (S SNE) But it’s easy to imagine how this could become a better-supported version of what Ouya wanted to do with its Android game console — a device for casual gamers and indie game developers who are looking for ways to bring their wares to the big screen. This means that parents will have a streaming device that promises them more advanced parental controls than any competitor, and kids will have a game console that allows them to play Minecraft on the TV — all for $140, including the wireless game controller. That’s actually a pretty sweet offering, and one that could help Amazon to move a lot of boxes. I agree with the author wholeheartedly. Those who don’t have kids or haven’t tried the Kids FreeTime on Kindle Fires probably can’t relate to it. Launch FreeTime app and let kids use the device and then you are confident, they won’t be accessing inappropriate content. It is very easy to maintain. FreeTime on TV would be on similar lines. The idea is, whatever time you allow them to watch TV, it should be focused on the RIGHT content. I disagree with parts of this article….. You can control your settings in the individual “platforms” for example Netflix, you can choose a rating code, and you can not access anything but that from ROKU… ‘d like to understand more about it, but as it stands now, we’re firm ROKU lovers, and we have kids who are watching “controlled” content….. It may be easier on this new potential platform, but it can be done at least on the ROKU. Why is everybody trying to make excuses for this flawed product? Apple TV has parental controls. Apple TV parental Control is all or nothing access. If all or nothing is considered parental control then any of those services have parental control. The parental control needed would restrict access per device or profile and not allow those more restricted devices or profiles from accessing the unrestricted content without a master password or pin. So far Amazon Instant is the only service that does this properly.